This sangeet season, you HAVE to checkout Team Naach for the best dance performances! There are two types of people at a wedding- the dancers and the hoggers (I am both). Sangeet is like a clash of clans where both the parties try to prove their worth. You know, just in case you want to give an amazing performance at your sister’s boyfriend’s best friend’s wedding or your own sister’s wedding, there is a team that will be happy to help you. Choreographers Nicole Concessao and Sonal Devraj from Mumbai are breaking the internet one dance at a time with their amazing choreography! They are popularly known as Team Naach and have a massive following on social media. 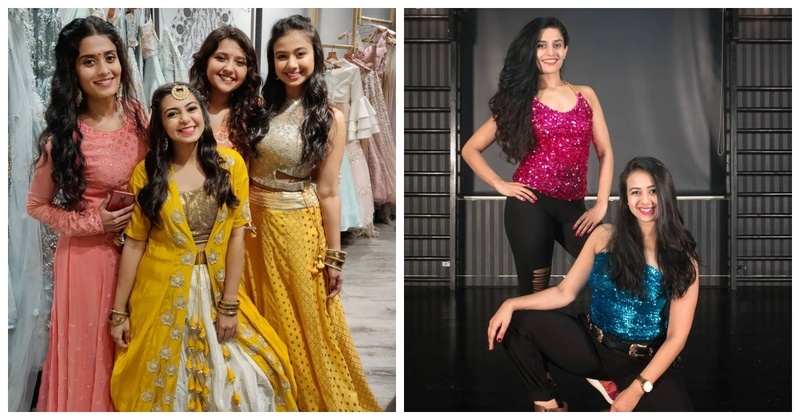 Check out some of their choreography videos to get inspired by for your next sangeet performance! The first one has to be my favourite, Bole Chudiyaan! Channelise your inner Kaashi Bai and Mastani with Pinga! Dedicate this one to your Sweetheart! Can’t leave Morni Banke, can we?! These are just a few of the dances that we have mentioned. You HAVE TO check Team Naach and you’ll know why we are so hyped about them!